HMH Books for Young Readers, 9781328685988, 304pp. Young Truman Capote thought life in New York City was going to be perfect, but things didn’t work out as planned. In fact, Tru is downright miserable. So he decides to run away to Monroeville, Alabama, and the only friend he’s ever had, Nelle Harper Lee. But things don't go well there, either. Bad things seem to happen wherever he goes. The only explanation: he must be cursed. Christmas is coming, and Tru’s only wish is to be happy. But it’ll take a miracle for that to come true. Luckily, a special feast brings the miracle he's hoping for. 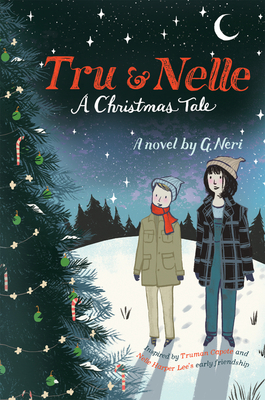 Tru and Nelle: A Christmas Tale is based on the real life friendship of Truman Capote and Harper Lee.